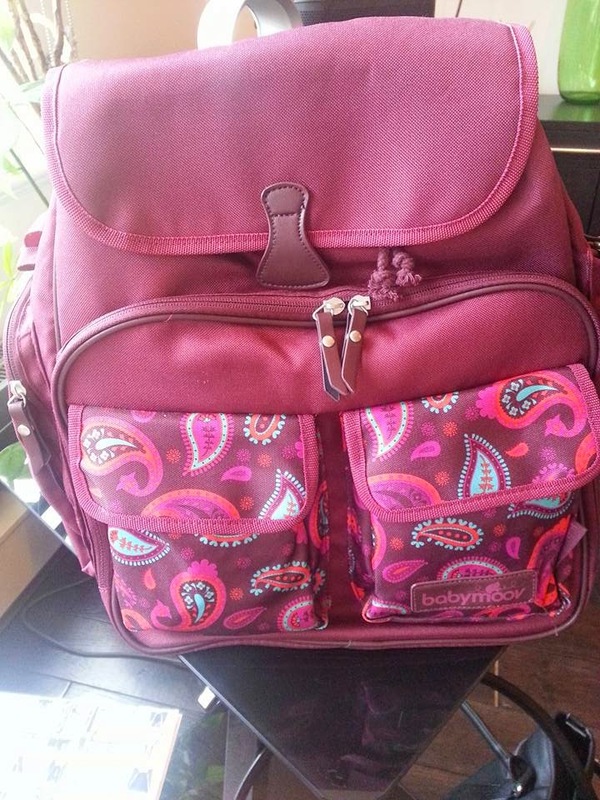 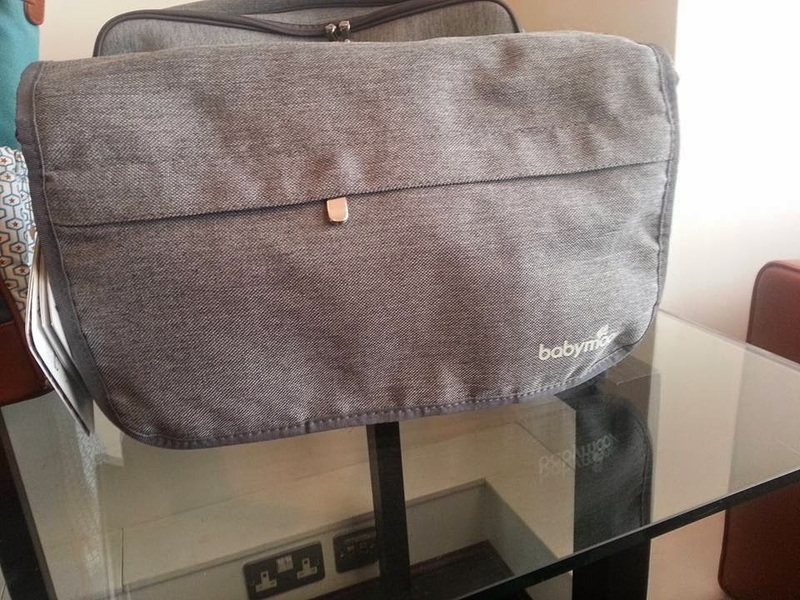 Mum of Five Staying Sane: Introducing the NEW Babymoov baby change bag collection. 29 different style and colour combinations to choose from and a lifetime guarantee. 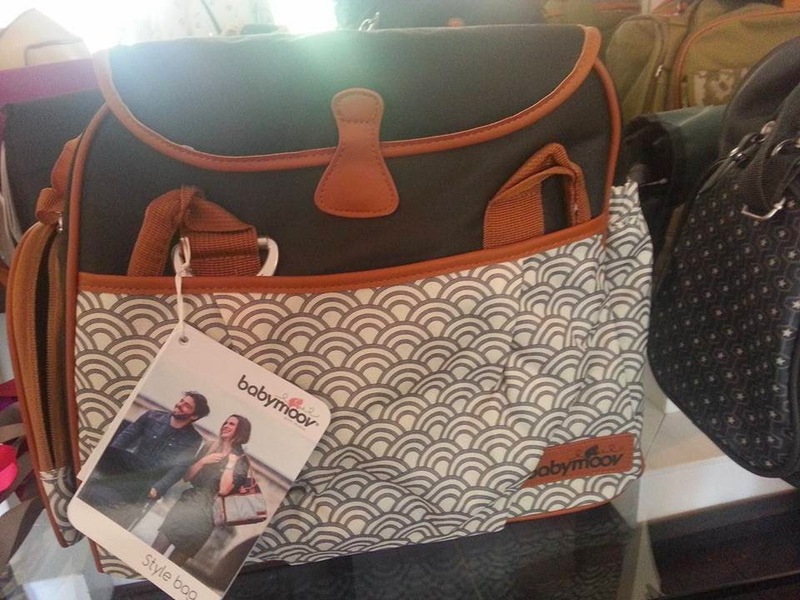 Introducing the NEW Babymoov baby change bag collection. 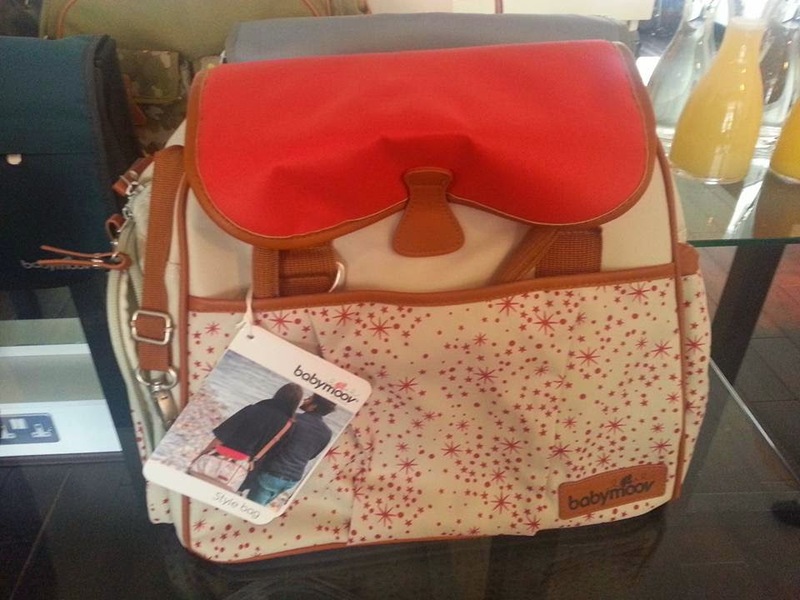 29 different style and colour combinations to choose from and a lifetime guarantee. 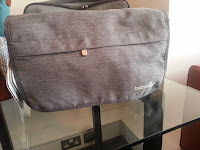 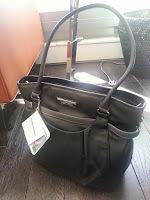 This week I was invited to view the new Babymoov baby change bag collection. 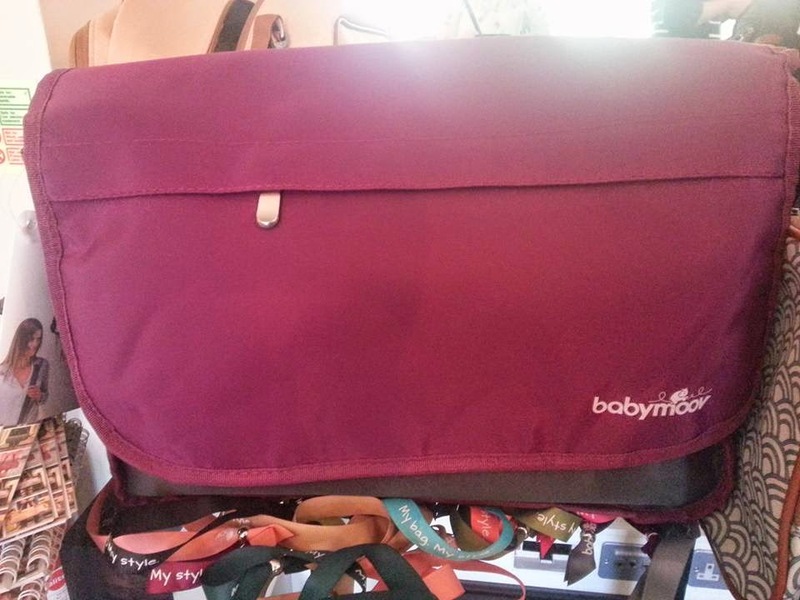 The Babymoov baby change bags come in 29 different colour/style combinations with a change bag to suit everyone and every occasion. 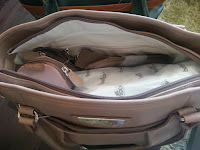 When I arrived I was gifted with a lovely make up/travel zip bag which was a lovely soft leather look material. 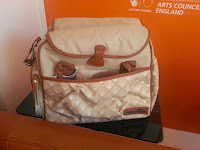 After having a lovely chat with the ladies who had organised the event as well as meeting other lovely mummy bloggers including life with pink princesses, Belle du Brighton and Mummy's Zone, I took to checking out all of the lovely bags that were in the room. 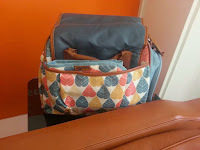 There was such a great choice from the new changing bag range. 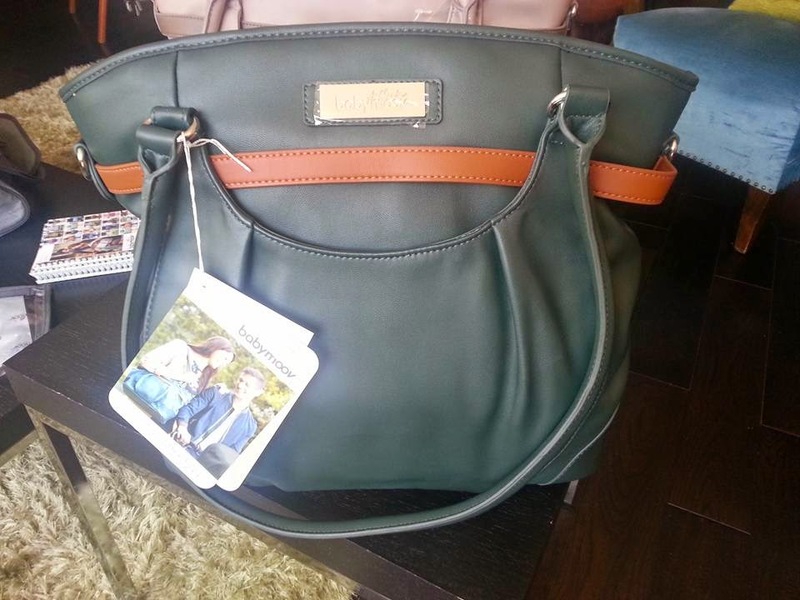 From the Messenger bag which is convenient and lightweight and comes in 5 different colours to the elegant City changing bag which comes in 3 colours there was plenty to choose from. We sat and watched the live stream of the fashion show bag launch showcasing all of the bags and colours available from the new change bag range. 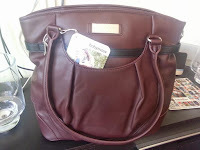 It was lovely to see them all being carried on the shoulder to get a good look at the size of each bag when being carried. 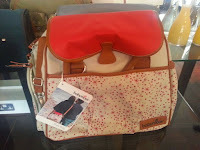 There was also the Glitter bag combining elegance and practicality, Traveller change bag which is ideal for overnight visits or extended days out, the Glober change bag which is a rucksack style bag, the ingenious and complete Essential bag and the lovely Style change bag which comes in six lovely prints. 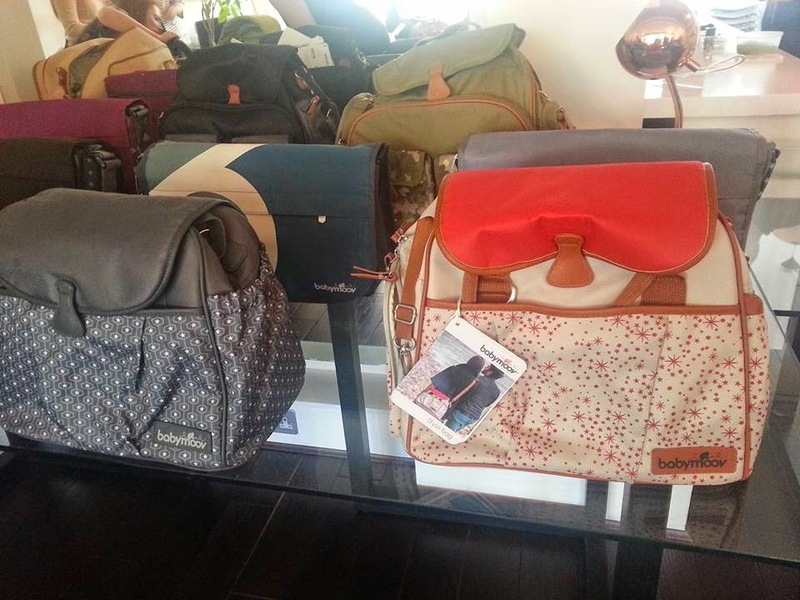 With prices ranging from £29.99 for the Messenger bag through to £79.99 for the City bag there is a bag (and price) for everyone. The bags also come with a lifetime guarantee which is fab. 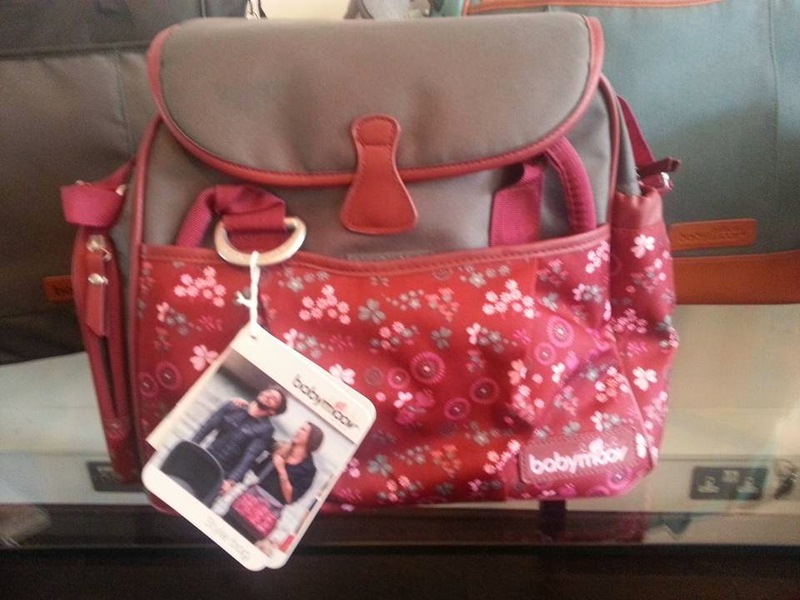 Each bag has an array of pockets and compartments to store all baby/child essentials that are needed when travelling. 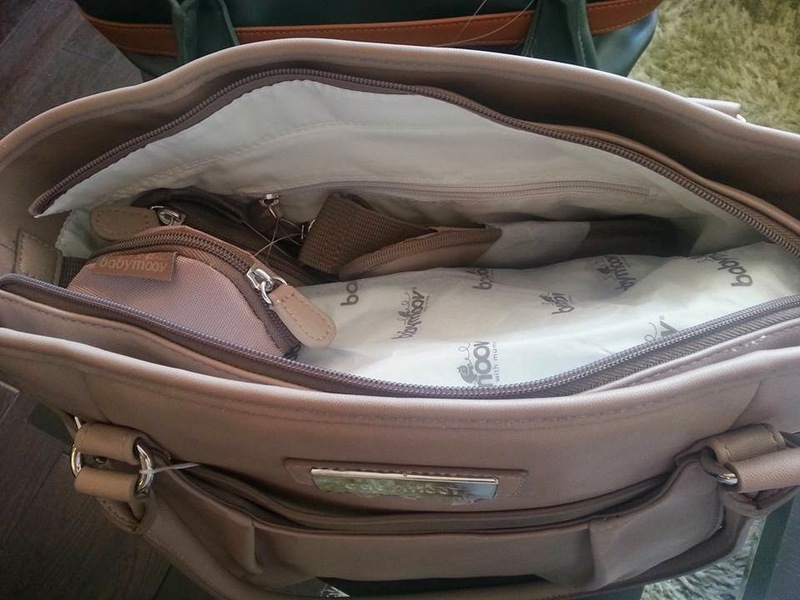 They also come with change mats, wet bags, and other useful extras. 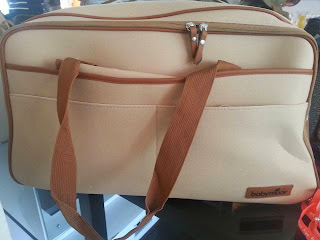 These bags are fabulous and I would highly recommend them as an essential baby buy. The choice of bag size, style and colour covers every option any parent should need when looking for a baby change bag. 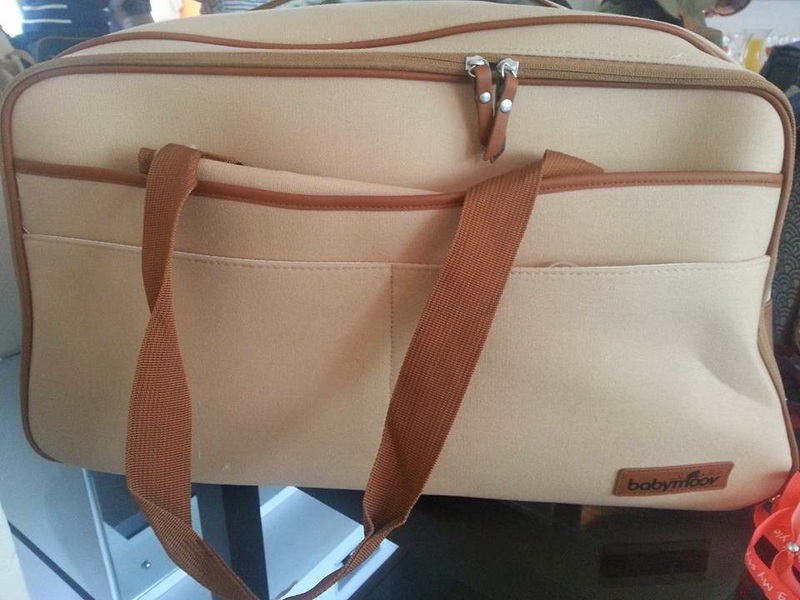 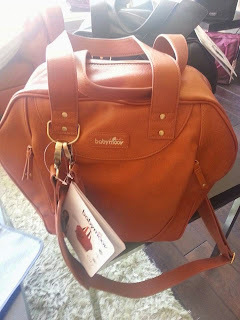 We were very lucky to be gifted a bag to take home and I chose the City bag in the tan colour. 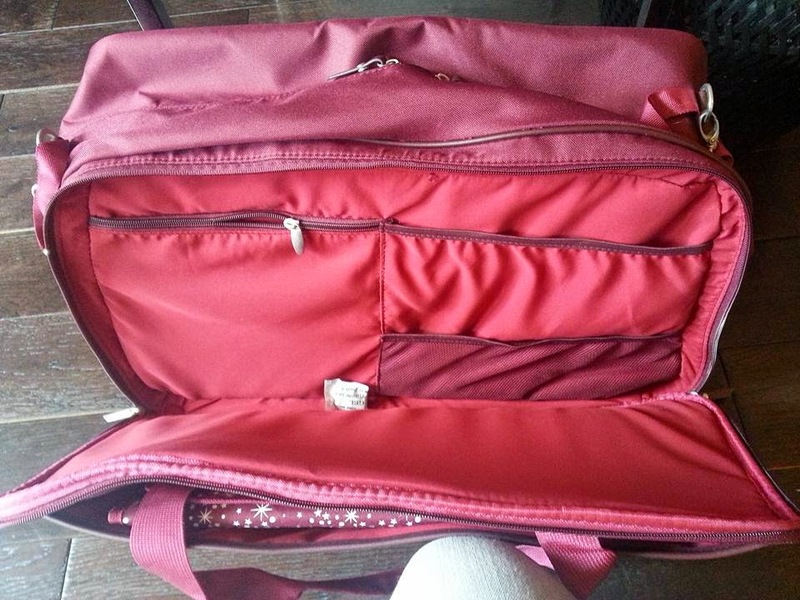 It is so spacious. 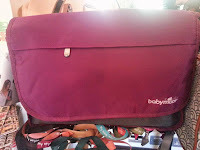 It has so many pockets inside to use and also comes with a bottle carrier, change mat, small zipped accessory bag, soother pocket and large shoulder strap as well as two separate handles too. 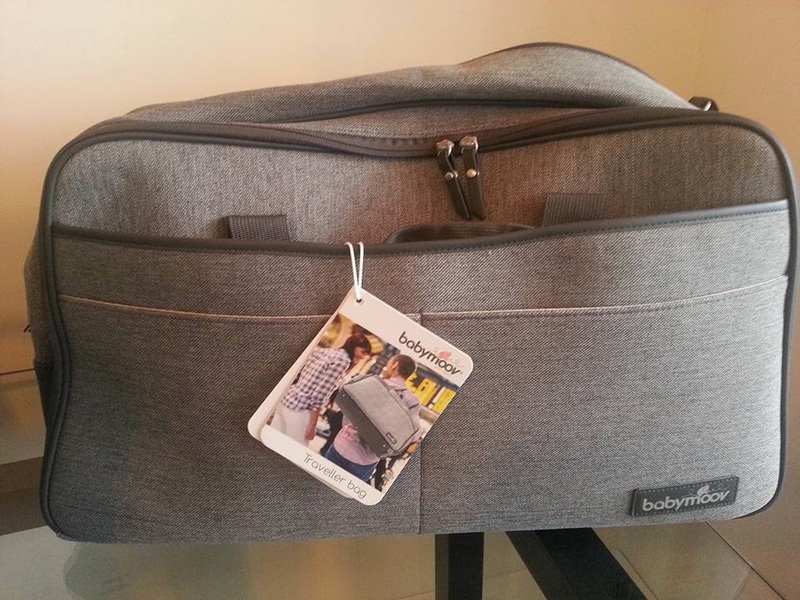 It also has stroller harnesses to hang it from the pushchair. 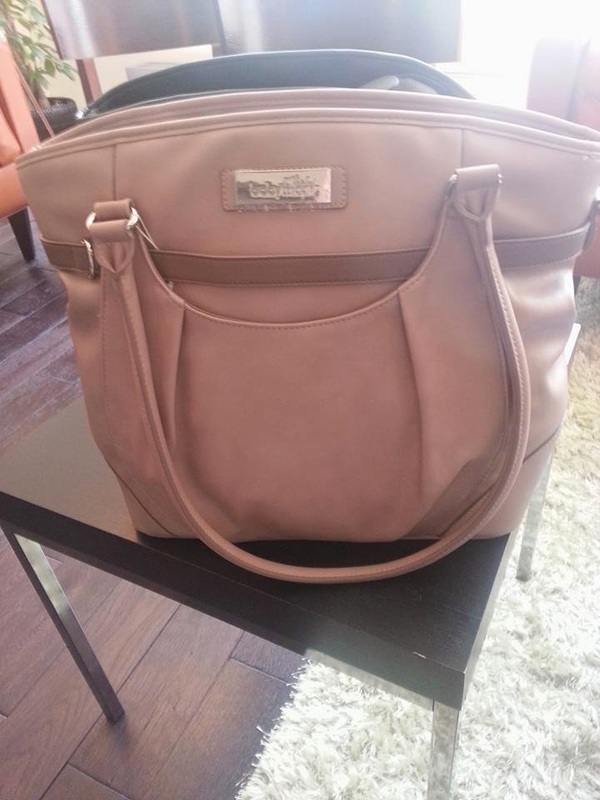 I love it as it looks like a handbag rather than a change bag and everyone I have shown it to has said they wouldn't have said it was a change bag. 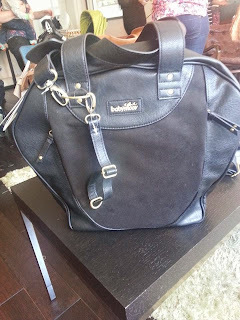 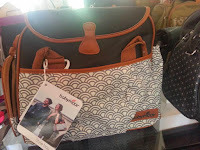 I would definitely highly recommend the City bag and it is currently a best seller on the Babymoov website.